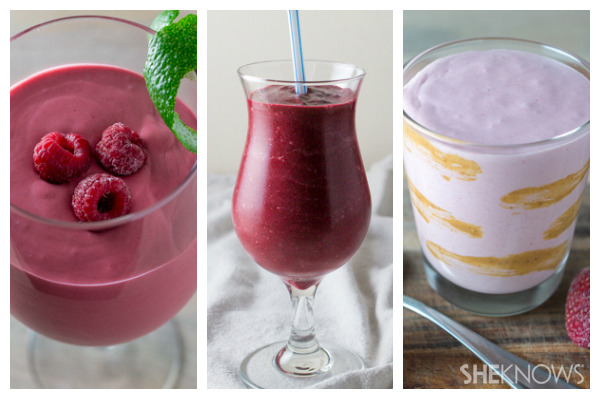 Start the day on the right foot with one of these satisfying smoothie recipes — each with a pink hue and wholesome ingredients. Bonus: These breakfast smoothies are ideal for kids and adults alike, so the whole family can celebrate. Each of the recipes below serves two and can easily be doubled. Valentine’s Day dinner gets a lot of press, but there are plenty of reasons to make breakfast special, too. Breakfast in bed is a romantic gesture and when that breakfast is a smoothie, you can easily (and quickly) make it happen even if you and your sweetie need to head into work. It’s also a special way to start off Valentine’s Day for the kids before they head into school! A nourishing and filling smoothie sets the tone for a great day — all the way up to your candlelit meal. 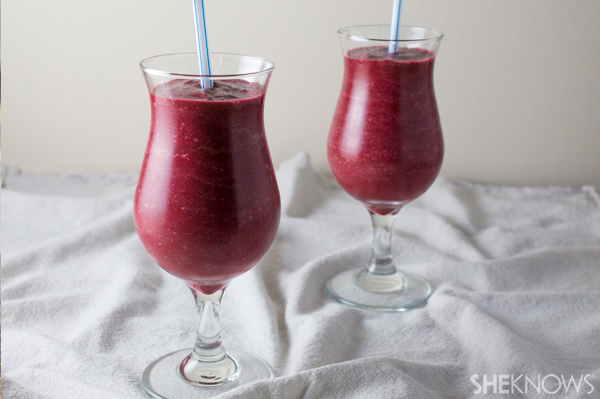 Like a peanut butter and jelly smoothie but with less sugar and the vibrance of fresh-frozen fruit. 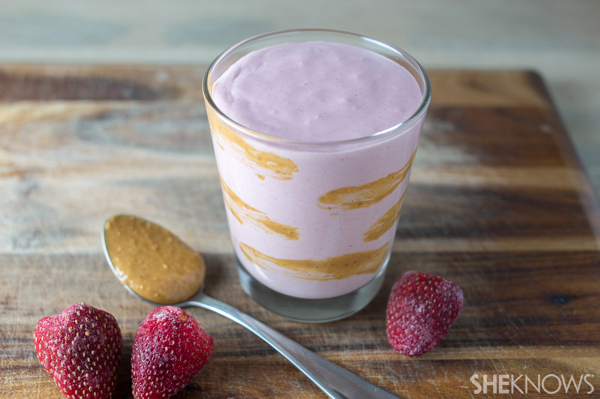 The peanut butter’s protein will help keep you full all morning. Feel free to use the milk of your choice (cow, goat, almond, soy, etc.) or even use almond butter instead of peanut butter. Combine all ingredients in a high-speed blender. Blend on high until smooth and serve immediately. Velvety beet purée, sweet-tart berries, creamy yogurt and tangy orange juice make a satisfying smoothie, bursting with flavor and boasting a color as romantic as it gets. Combine all ingredients except for the honey in a high-speed blender. Blend on high until smooth. Taste for sweetness and add honey to taste, blending briefly to incorporate. Serve immediately. 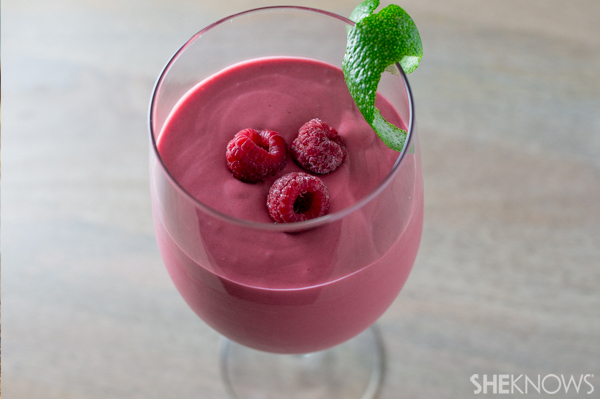 Creamy and a little exotic, this raspberry smoothie is sweetened only with fruit. The twist of lime adds the perfect hint of acidity and brightness. A garnish of lime peel and frozen raspberries (a great textural addition) make this smoothie even more beautiful. For more Wyman’s recipes, check them out on Facebook!